Murphy had been accused of being a Soviet spy by one of his own officers, Peter Kapusta. He originally expressed this opinion to Sam Papich, the FBI's liaison man with the CIA. "Kapusta called in the middle of the night. It was one or two o'clock in the morning. The FBI did not investigate. From the beginning, the bureau looked at the Murphy matter strictly as an internal CIA problem. We received certain information, including Kapusta's input. By our standards, based on what was available, FBI investigation was not warranted." (5) This information was passed to Angleton and he became convinced that he was a Soviet mole. Petty investigated Murphy's wife and found that her family had fled from Russia after the Russian Revolution. They moved to China before settling in San Francisco. Petty could find no evidence that she was pro-communist. Newton S. Miler, a member of SIG had investigated Murphy in the early 1960s. He discovered that a large number of his operations had been unsuccessful: "Just a series of failures, things that blew up in his face. Odd things that happened. The scrapes in Japan and Vienna. They (the KGB) may have been setting up Murphy just to embarrass CIA. But you have to consider these incidents may have been staged to give him bona fides." (6) Petty came to the conclusion that Murphy was "accident prone". 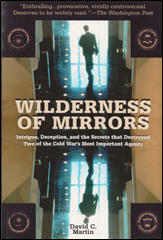 Petty told James H. Critchfield, the CIA head of the Eastern European and Near East divisions about his suspicions. 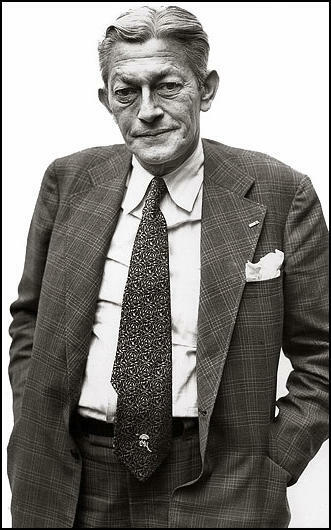 As he later pointed out: "I reviewed Angleton's entire career, going back through his relationships with Philby, his adherence to all of Golitsyn's wild theories, his false accusations against foreign services and the resulting damage to the liaison relationships, and finally his accusation against innocent Soviet Division officers." As a result of his investigation, Petty concluded that there was an "80-85 percent probability" that Angleton was a Soviet mole. Colby later commented: I couldn't find it had produced anything... I wrote a memo saying it should be terminated." (23) Angleton questioned this decision and pointed out that they had been able to find out "whether illegal Soviet agents hidden in the United States were communicating to and from the USSR through the U.S. mails." (24) Schlesinger decided to "suspend it but not terminate it". Colby pointed out: "I couldn't find that we ever caught a spy under Jim. That really bothered me. Every time I asked the second floor about this question, I got 'Well, maybe' and 'Perhaps,' but nothing hard. Now I don't care what Jim's political views were as long as he did his job properly, and I'm afraid, in that respect, he was not a good CI chief. As far as I was concerned, the role of the Counterintelligence Staff was basically to secure penetrations into the Russian intelligence services and to debrief defectors. Now I'm not saying that's easy, but then CI was never easy. As far as this business of finding Soviet penetrations within the CIA, well, we have the whole Office of Security to protect us. That is their job... The isolation of the Counterintelligence Staff from the Soviet Division was a huge problem. Everyone knew it. The CI Staff was so far out on its own, so independent, that it had nothing to do with the rest of the agency, The staff was so secretive and self-contained that its work was not integrated into the rest of the agency's operations. There was a total lack of cooperation."